We spent the October half-term with Laura's parents in the south of France. It was the first time we'd made the trip in the Autumn - we were really lucky with the weather and the colours were spectacular, but it did start to get cold towards the end of our stay. Gerald and Evelyne live in Castex, a small hamlet just south of Miélan, in the département of Gers. Population (at the 1999 census) was 88; I met most of them when I went for a wander with my new camera. 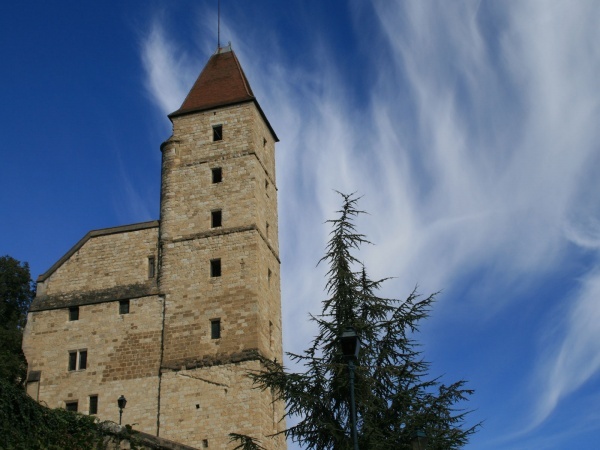 Auch, the capital of the département (and the historic capital of Gascony), is about 40km north east of Miélan. Condom, still in Gers, is another 40km heading north.